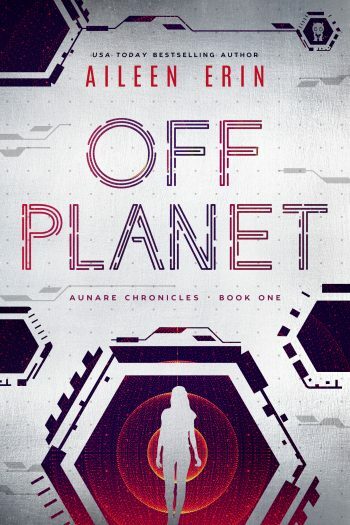 Welcome to the blog tour for OFF PLANET, the first book in the young adult dystopian series, Off Planet, byUSA Today bestselling author, Aileen Erin. See below for information on the book, buy links, an exclusive excerpt, and details on her giveaway. I’d never been happier to be home as I was that night. Roan had paid the exorbitant cab fare and then left on foot for Starlite as soon as I’d entered the apartment building. He’d asked me to join him, but the close call with the cop was almost more than I could handle. All I wanted to do was hide in my darkened room for the next day or ten. 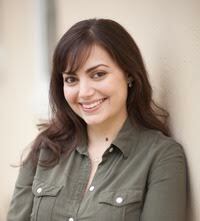 But as I approached the front door of our apartment, voices seeped into the cement-lined hallway. For a second, I dismissed them, but Mom’s voice rose above a deeper one, and I stopped walking. We rarely had anyone over at all and never at this hour. Something was going on, and it couldn’t be good. I tiptoed the rest of the way, pressing my ear to the door. It felt like something slithered around my chest and tightened. Someone had come for me. But who? Between the next three heartbeats, a few scenarios ran through my mind. One. The cop from earlier had sent another officer to bring me in, but STPF didn’t move fast, especially for an idiotic ticket. Two. SpaceTech had found us. Two of Earth’s Most Wanted. But if that were true, then there would be fighting and screaming and the sounds of my mother begging for them to leave me alone. Then the third idea came, and I took a big breath. There was only one other possibility. They were here. The Aunare were here. I’d stopped dreaming years ago that my father or the Aunare would show up to rescue us. I wasn’t sure what this meant except that my life was about to change in a huge way. The fluttering in my stomach started small and crescendoed into thousands of flying butterflies. I wasn’t sure if it was excitement or nerves, but specifics didn’t matter. I slid my backpack off my shoulders and unlocked the door.